Clients enjoy a simple pricing model and quick implementation timeline. They are able to start benefiting from Lucy starting at just $49,900 for an initial Proof of Concept. What our clients value most working with Lucy is the integration of their 1st party, unstructured data spread across different file systems or teams. They want to simply ask questions and find answers quickly and easily. Her pricing model and implementation timeline is just as simple as she makes enterprise search. 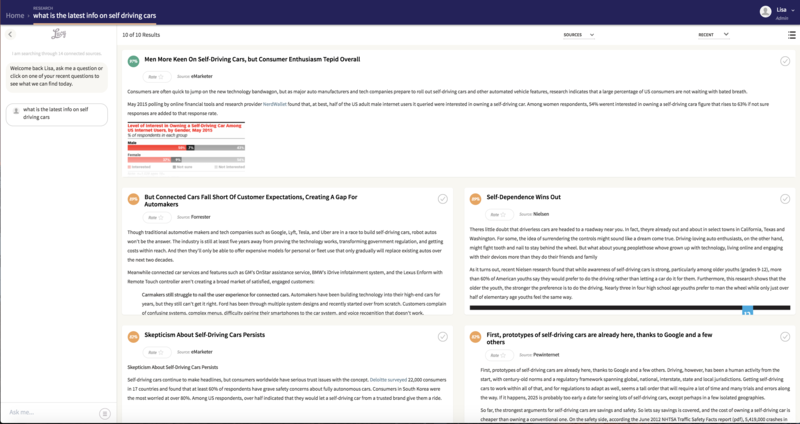 Lucy’s simple pricing model includes the first 10 users and all of the basic setup services needed to take advantage of AI-powered knowledge management. Lucy’s automated implementation allows a typical client to go from kickoff to beneficial usage in just one month. Lucy has her own library of research data that she is already trained on and is included for every client. Through these valuable data sources, she is ready to instantly deliver insight and value. 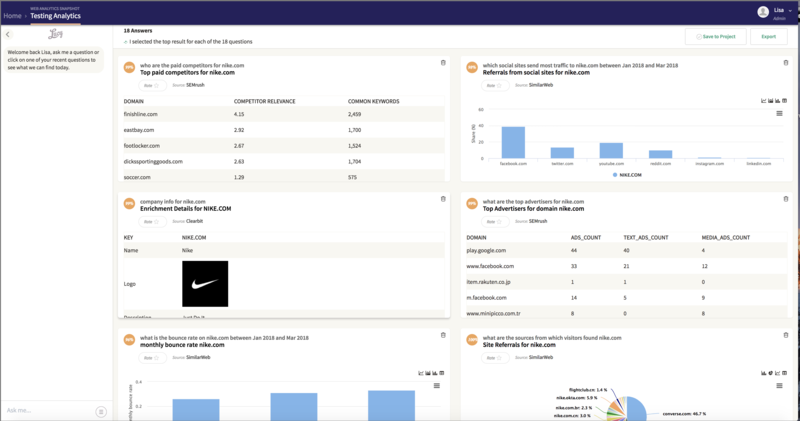 Sources include data on website traffic statistics & analytics, social media & search analysis, market & consumer trends, Information & public perception on latest news, media & brand equity research. 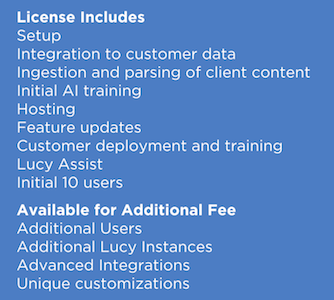 Lucy has connectors to 50+ industry data sources to simplify data ingestion for our clients with licensed third party subscriptions. Fees to include third party sources are dependant on the partner and complexity of the data source. What data can Lucy find for you?